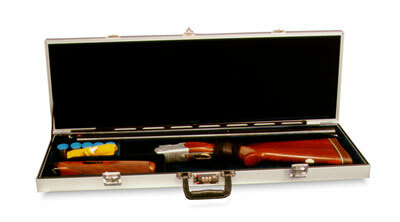 Model 3004 is a single barrel fore-arm off case, and holds a barrel up to 32". It is approximately 2 lbs. lighter thatn the current compact case, weighing in at 13 lbs. Dimensions are 34 1/2" X 8" X 3 1/2".